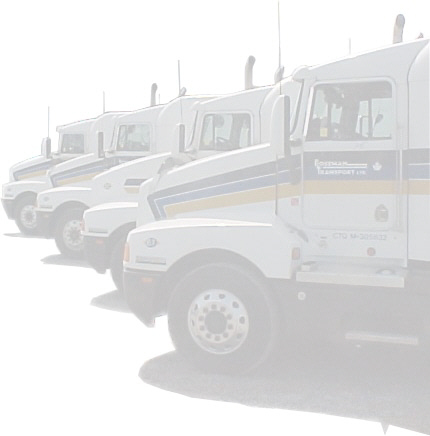 Roseman Transport provides both, specialized equipment and exceptional service, to meet the unique requirements of a variety of customer needs. Some examples of the diversity of the freight we transport include; paper products, packaged food products, manufactured goods, building materials, leisure products, and temperature sensitive cargo. Important founding principles have not changed in more than 50 years. Since Edward J. Roseman founded the company in 1944, continued care and attention to matching up-to-date truck and trailer equipment, with reliable and safety minded drivers, has ensured that Roseman Transport remains a trusted name among loyal customers. As active members of The Ontario Trucking Association and The Canadian Chamber of Commerce, we keep in touch with our industry and the business community we serve. We also enjoy the nostalgic aspect of membership in the American Truck Historical Society and The Antique Truck Club of America. Send mail to webmaster@rosemantransport.com with questions or comments about this web site.